Daily Debate: Were Masks With Different Uses A Good Contribution To The Franchise? Aside from the three-day mechanic, one of the key elements of Majora’s Mask was, as the name implies, the masks. 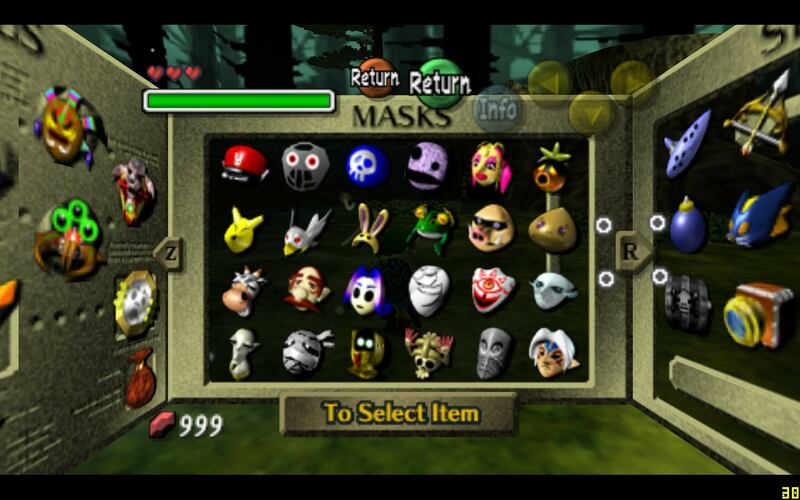 From transformation masks that changed Link’s form and abilities, to masks that had different effects at different times, there was a grand total of twenty-four different masks to obtain in the game. However, was the incorporation of another form of ability for Link to use, along with items and spells, a good idea? The masks available in the game fit well with the lore of the story and are unquestionably useful, both for completing the main quest and for completing certain sidequests. Ones such as the Bunny Hood and Stone Mask had their own uses regularly, while the transformation masks were necessary to progress through the story. However, the abilities that these masks offered could have passed just as well in the form of items or spells, and masks haven’t been used much since Majora’s Mask. At the same time, the addition of masks in the game tied in incredibly well to the world the game showcased, as well as help to set it apart from the average Zelda game. So what do you think? Were masks a good introduction to the series? Or should they have been left out, with their abilities offered in a different form? Leave your thoughts and opinions in the comments below!